Also started on a filet , as" a on the go" project.I have pinned this,"Home sweet home" chart long back. Looks simple and classy. Would make a beautiful home decor, if it is framed.Perfect for my new home. What is more exciting than planning and setting up a new nest?! 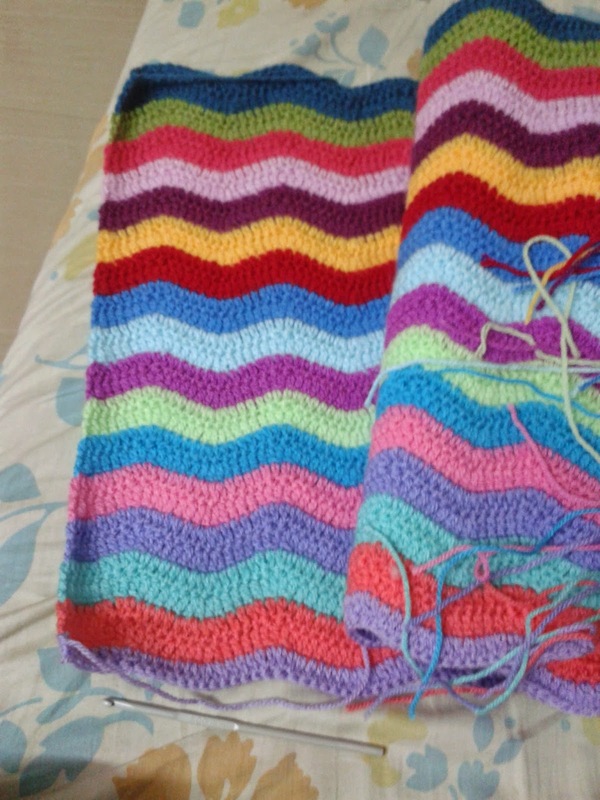 Ripple love is so bright and colourful, it will be a beautiful project when done as will the Home sweet Home project and yes just right for a new home. Your ripple afghan looks very colorful and pretty!! :) home sweet home is looking nice too. Both projects are great. The colors of the blanket are so nice and cheery and will be a welcome in the gray winter months. 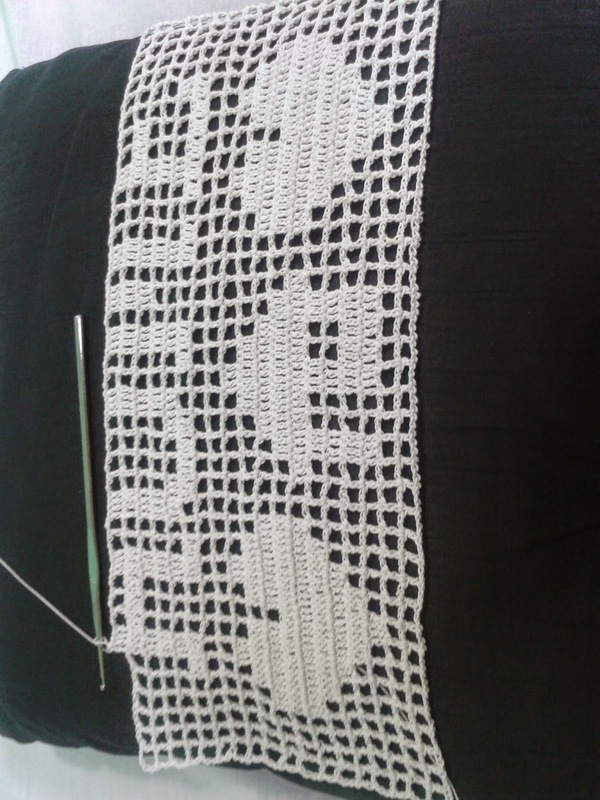 The filet crochet is really pretty and will be an excellent item in your new home. Ripple looks fantastic - so bright and cheerful! I need lists to keep me on track; I find they really focus my attention. I guess I must really like crossing things off lists :) I've been meaning to try Filet Crochet for ages. I just love the classic look of it. Yours is lovely. Always nice when a home has personal touches! Your filet decoration looks great!